We make brands grow and do our bit for a better shopping experience. To achieve this we put our best efforts in long term, good category work and open dialogue with our suppliers and the chains. We receive feedback that our ability to drive categories with credibility and innovation is a strength. Jensen & Co’s handles dry goods, chilled and frozen goods. We believe that a key to our success is that we work in teams across functions and thus take opportunities to a higher level. As a team we have expertise, experience and passion. Few chains and a well developed market requires much experience from the sales organization. We have good local knowledge and a dedicated Key Account team with broad and extensive experience from the grocery business. Our sales team feels the pulse of the market every day in the grocery stores. Norwegian consumers shop about four times a week. It is important to communicate with the shopper in the purchasing moment and our presence gives us insight and market knowledge. We develop category strategies to provide profitable growth for our partners. 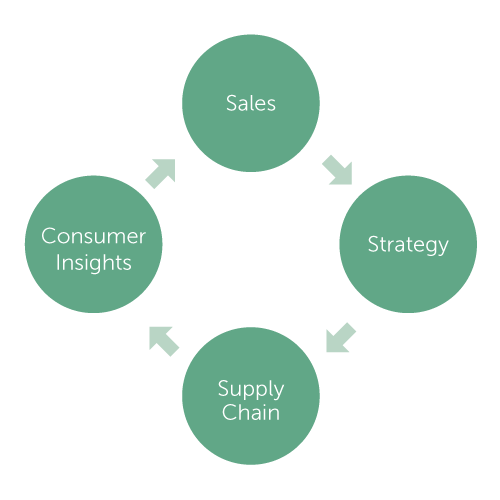 We add value by adapting strategy and product portfolio to cover the consumer’s needs. Norwegians eat an average of 14 different dinners during the year. We wish to give the consumers new and better options as it inspires consumers to enjoy their meals even more! Jensen & Co has good procedures to ensure that our products have high quality. There are strict and unique demands in regards to the product flow and food safety in Norway. We have a good team who ensures that these requirements are met towards consumer, government and chains. Jensen & Co focus on providing Norwegian consumers with what they want and we focus on understanding the relevant trends. We think it is important to involve the consumer, and have a personal dialogue via social media. That way we create engagement and build loyalty to the brands we represent in Norway.